Ji Park’s choreography is based on abstract movement. The basis of her work is spontaneous and instinctive, which is influenced by her South Korean origin and it is particularly difficult to dancers trained in the western contemporary dance tradition. Her vocabulary is very fast-paced and based upon the combination of very short and sharp sequential phrases. 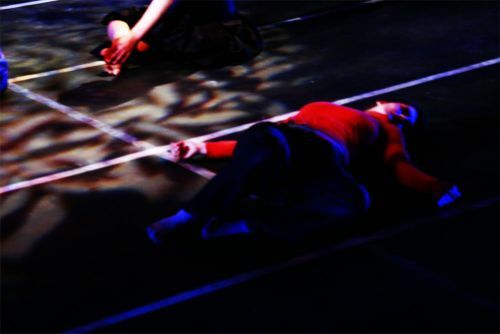 She has previously performed her work at Cloud Dance Festival with Transient Dance Theatre. Inspired by Rachel Carson’s Silent Spring, Gaia is based on the exploration of spontaneous improvisation with a focus on the use of space we have developed the different movement qualities of the body’s physiological systems. The result is quite abstract, highly physical, and crafted according to instinctive movement. Gaia comprises several short scenes, viewing the emotional situations in the relationship between human and nature.